Everything we do at the DCRI is based on collaboration and the sharing of knowledge. Our researchers and operational teams work closely with each other, with our colleagues from the wider world of Duke University and Duke Health, and with our peers and partners around the world. Upcoming events featuring our thought leadership and opportunities for collaboration are listed below. We hope you will join us. 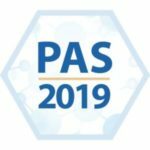 The Pediatric Academic Societies (PAS) Meeting brings together thousands of pediatricians and healthcare providers united by a common mission: to improve the health and well-being of children worldwide. DCRI Pediatrics faculty will be available to discuss the latest findings in pediatric science. Clinical and operational experts from the DCRI coordinating centers of the Pediatric Trials Network (PTN) and Environmental influences on Child Health Outcomes (ECHO) will be on hand to provide insights into their respective initiatives. To learn how the world’s largest academic clinical research organization improves outcomes through innovative trials, visit DCRI thought leaders at booth 406. April 28, 7:30 p.m. to 11:00 p.m.
Join the PTN for a reception and symposium as they share an overview of lessons learned, their contributions to child health, and their unique perspectives as a global 100+ pediatric clinical research sites network. Join a network of Duke students, fellows, and faculty with multiple levels of expertise in behavioral interventions, and behavioral economics. The DCRI’s Behavioral Research Intervention Science Center (BRISC) is hosting a discussion-rich colloquium with a focus on building a community that has a stake in utilizing behavioral science to improve health outcomes and/or the recruitment and retention of participants in clinical research. Registration closes May 3, 2019. Join fellow Duke researchers and foster collaborations intended to have the highest impact on future obesity-related research and patient care. Delineate knowledge gaps for obesity-related research, brainstorm strategies, and develop a framework for an ideal learning health system model. Lesley Curtis, PhD, and Joseph Rogers, MD, are the featured keynote speakers. Registration closes June 9, 2019. The DCRI is proud to serve as the Coordinating Center for the Global Pediatric Clinical Trials Network, which aims to support efficient pediatric clinical trials by developing scientific and operational infrastructure, fostering collaborative networks, sharing knowledge, and engaging stakeholders. As part of the network’s goals, it will co-host along with the Institute for Advanced Clinical Trials for Children, a scientific workshop to address tobacco cessation strategies in youth on May 15, 2019, at the U.S. Food and Drug Administration (FDA). Panelists, speakers, and other participants will discuss current research and evidence as well as examine how developing new medical products could help overcome treatment barriers. Interested stakeholders are welcome to attend. The use of e-cigarettes in youth and adolescents has reached near epidemic levels. While there are many available products to aid in tobacco cessation in adults, there are limited data on interventions and therapies for tobacco cessation, including e-cigarette cessation, in adolescents and youth. More information from former FDA Commissioner Dr. Scott Gottlieb about how the workshop fits into the Youth Tobacco Prevention plan can be found here. The basic science of tobacco addiction in adolescents. The current state of behavioral and pharmacotherapy cessation strategies in youth and adolescents (e.g., clinical trial experience to date, use of technology and social media, the impact of social factors). The development of strategies to generate robust evidence to address youth and adolescent tobacco cessation (e.g., clinical trial design, measures of adolescent addiction, selection of endpoints, sub-population and co-morbidity considerations, and patient recruitment and retention). Members of the public are encouraged to post comments in the docket by May 31, 2019. The meeting is free and open to the public, but registration is required. Registration closes May 13, 2019. DCRI faculty Benjamin Goldstein, PhD; Eric Jelovsek, MD, MMEd; Ann Marie Navar, MD, PhD; and operations leader Lisa Wruck, PhD, will serve as panelists at this Duke Multidisciplinary K12 Urologic Research Career Development Program (KURe) event to stimulate discussions, highlight urology research in the area, and develop a collaborative and multidisciplinary approach to answer urological research questions. Emily O’Brien, PhD, and Kevin Weinfurt, PhD, both DCRI faculty, will join their NIH Collaboratory colleagues at this Academy Health full-day event to provide an introduction to the investigative opportunities for embedded health systems research, along with strategies for conducting clinical trials that provide real-world evidence necessary to inform both practice and policy.